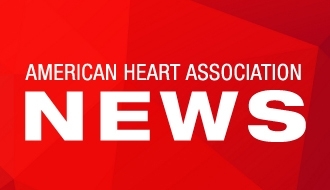 DALLAS, TX, January 14, 2016—The American Heart Association (AHA) and Verily, (formerly Google Life Sciences) announced today that AstraZeneca (AZ) has joined them in a bold new approach to find a cure for coronary heart disease and improve cardiovascular health. With a commitment of $75 million dollars over at least a five year period, the three organizations have initiated the single largest research project funding one leader and team in the fight to cure coronary heart disease. The application period for this new research enterprise officially opens today at 5:00 PM ET at: www.onebraveidea.com. The three organizations have joined forces to find one brave idea from a visionary leader. This person and their team will be awarded the opportunity and challenge to make a difference for the millions of people directly affected by coronary heart disease. Their goal: prevent or reverse coronary heart disease and its consequences, therein restoring cardiovascular health. Launched as One Brave Idea™, this research model will provide a specialized team of interdisciplinary experts with the stability and support needed for at least five years of well-funded research. This model is also designed to accelerate discovery by removing the barriers and the silos that plague the traditional research process. Cardiovascular diseases are the No. 1 cause of death globally, accounting annually for approximately 17 million deaths, or about one of every three deaths. Coronary heart disease itself is responsible for more than 7 million deaths annually. The selected leader and their team will have resources beyond the financial investment of the organizations by combining the AHA's medical and scientific expertise, Verily's technical prowess, and scientific insights and mentoring from AstraZeneca. A Joint Leadership Group comprised of 2-3 leaders from each funding organization will guide, advise and resource the selected leader and the new research enterprise. Submissions are accepted only at onebraveidea.com and are due by 11:59 pm CT on February 14, 2016. Nancy Brown, CEO, American Heart Association; Robert Harrington, MD, Stanford University and AHA Board member; Joseph Loscalzo, MD PhD, Brigham and Women’s Hospital/Harvard Medical School and Chairman of the AHA’s Institute for Precision Cardiovascular Medicine; Andrew Conrad, PhD, Chief Executive Officer, Verily; Jessica Mega, MD, MPH, Chief Medical Officer, Verily; Michael V. McConnell, MD, MSEE, Head, Cardiovascular Health Innovations, Verily; Gregory Keenan, MD, Vice President & Head of US Medical Affairs, AstraZeneca; Bruce Cooper, MD, Vice President & Head of Global Medical Affairs, AstraZeneca. Verily, formerly Google Life Sciences, is focused on helping to move healthcare from reactive to proactive. Combining expertise from the fields of biology, chemistry, physics, medicine, electrical engineering and computer science, we’re developing new technology tools for physicians that can integrate easily into daily life and help transform the detection, prevention, and management of disease.